Out of stock since Friday, 8 August 2014. Due back soon. Global Herbs Relief Capsules provide your dog with a specially formulated mixture of frankincense and other herbs to promote normal function in joints, tendons, and muscles - all which affect general mobility. 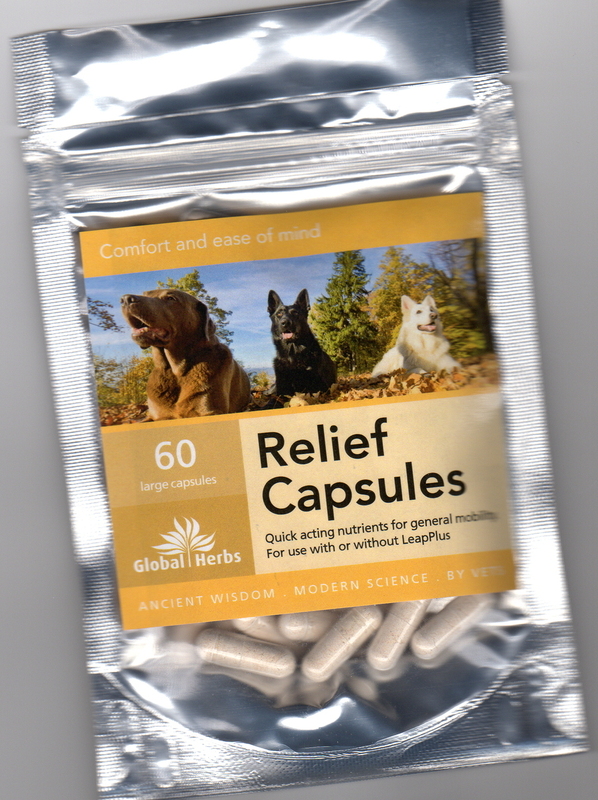 There are currently no questions for Global Herbs Relief Capsules for Dogs - be the first to ask one!